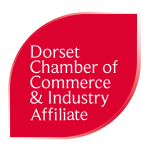 Our featured member this month is Wessex FM, sponsor of the January breakfast at The Gamekeeper. Wessex FM is the number one radio station in the area and celebrating 25 years of broadcasting to West Dorset in September this year. The most recent RAJAR listening figures* put the radio station ahead of all commercial competitors, but also ahead of all national BBC radio stations. In fact, the surveyed 44% weekly reach (55,100 listeners) makes Wessex number one in percentage terms in mainland England! Its status as a trusted local brand extends beyond pure radio listening with a website that is both well viewed and popular with search engines and a Facebook page with over 16,000 followers. In addition, Wessex FM organises the annual Local Business and Local Heroes awards, can offer everything from mobile phone advertising to simple, affordable video production. Wessex is also proud to be ‘proper local radio’ – everything, on air and online, is produced here in Dorchester. Radio – With an in-house copywriter, Wessex works with clients to create the perfect advert. There are additional opportunities to utilise sponsorship for branding and competitions that seamlessly weave your business into engaging on-air content. Online – A trusted site with search engines, clients can take advantage of banner advertising and sponsored features, alongside the popular free jobs listings and more. Advertising in the business directory, for example, can improve your ranking in search engine results as a result of a ‘backlink’ from wessexfm.com. Social – Engaging content helps drive the reach of your message, through shares and likes. Wessex FM can create a bespoke campaign – including competitions and video production as necessary. Events– Whether providing a presenter or promotions team to your event, the station can support everything from shop openings to large annual events, and can organise music, PA, lighting and more as required. The Wessex FM branded Damory double-decker bus is even available for some events.